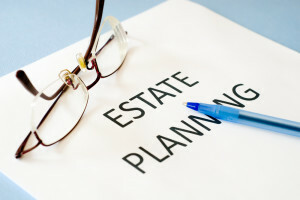 Estate planning is something many people think they don’t have to do. However, the reality is that everyone should do some kind of estate planning, especially people that have spouses or kids. Estates can get complicated after you pass, especially if you re-married or have step children. The “next of kin” rule isn’t as cut and dry as people think it is, and that wrong assumption could end up costing your loved ones a lot of time, money, and bitter feelings. California estate litigation and planning is essential but if you make one small mistake, it could end up causing a lot of problems in the future. When you start planning your estate, make sure that you avoid making these common mistakes. There are a lot of things you can do yourself, and estate planning isn’t one of them. Unless you work as lawyer and specialize in estate planning, you need a professional to handle it. Estate planning can get very complicated, especially if you have a lot of people that will be benefiting from your estate. Do yourself a favor, and let the professionals handle distributing your wealth and assists. When some people plan for their estates, they tend to only think about one very specific scenario. A lot can happen to you, your family, and your assets over a few years. A good lawyer should walk you through a few what if scenarios to be prepared for unexpected situations. When you’re planning your estate, it’s also the perfect time to set an advanced health-care directive, more commonly known as a living will. In the case of any accident or illness, your doctors and loved ones will know how to handle end-of-life preferences. This document should tell your family and doctors what to do in the event of a surgery, resuscitation, and organ donation. This document is absolutely crucial, and can spare your family and loved ones of making very difficult and important decisions. Do you have a special needs child that will require care after you pass? Do you currently care for an elderly or ill loved one? Don’t forget about them when you’re planning your estate. If you were to die without making binding legal arrangements about their care, they could end up in the hands of the state or another organization.